Saving a tooth from decay and tooth fracture. Improving the shape and position of teeth. Dental crown treatment will usually require two visits to assess the health of your teeth, take impressions and fit your new crown. During an initial consultation we will perform an examination of your teeth and mouth. This is done using dental x-rays and allows us to decide if a dental crown is the most suitable treatment option and whether root canal treatment is required. Prepare the surface and chewing areas of the tooth. Make a mould of the tooth and the teeth around it. 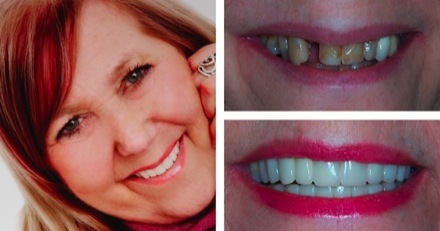 Fit a temporary crown to protect the tooth while you wait for the permanent crown. Your personal crown will be created in a dental lab but you will be able to choose the colour, shape and shade. Your crown can be made from a range of materials including gold, resin, porcelain or ceramic. We will then check that you are happy with the appearance and fit of your newly fashioned dental crown before fixing it in place using dental cement. You must treat your crown as if it were a natural tooth which means brushing, flossing and using mouthwash. If you do take good care of your crown you can expect it to last between 5 to 15 years, if not longer.